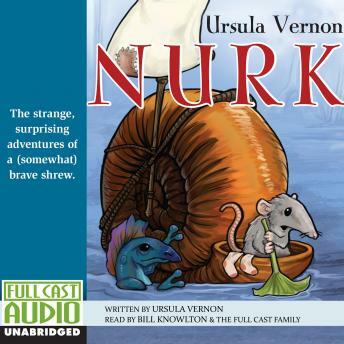 Nurk is a quiet homebody of a shrew. But when a mysterious plea for help arrives in the mail, he invokes the spirit of his fearless warrior-shrew grandmother, Surka, and sets off to find the sender. It seems the prince of the dragonflies has been kidnapped, and Nurk is his last hope for rescue. Such a mission would be daunting for even the biggest, baddest, and bravest of shrews, and Nurk is neither big nor bad, and only a little brave. But he does his very best--and hopes his grandmother would be proud.